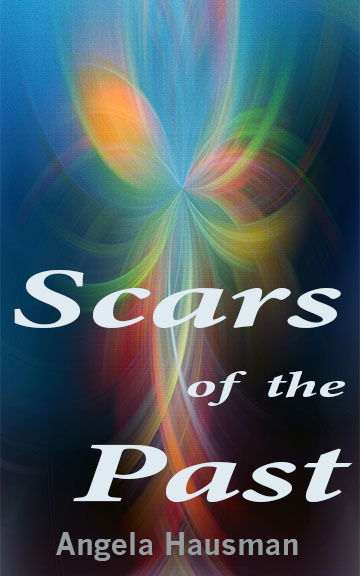 I ‘m looking for Beta readers for my new novel, Scars of the Past — see the 1st chapter at the end of this post. Meanwhile, check out the new cover options I got from my graphic designer. What do you think? Please select the one you prefer by commenting to this post. Hacking is easy–too easy, in many cases. And, it’s the new tool of assassins who use their skills to influence political events without ever risking life or limb. Instead, they program our devices to attack us and kill from afar. Beta readers are in for a treat. 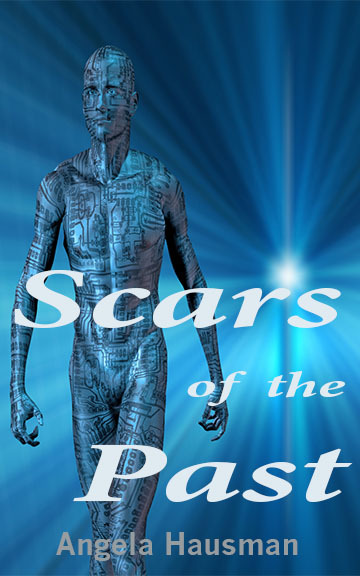 Full of plot twists and turns, Scars of the Past (Dark Web #2) follows Jaime and Estella as they move to DC a step ahead of her cartel kidnappers. But, things are no better there, where Jaime (now Jacob) heads a division of hackers working for the FBI counterterrorism unit. He and his colleagues must solve the assassination of Grigory Mikhalev, an official representing the Russian government at a public policy conference at Georgetown University, which turns into something much bigger. The unit is under pressure to solve the international crime quickly, but faces laziness, stupidity, and obfuscation from the rest of the alphabet soup that makes up the intelligence community in the US government. BTW, I have a booth at this year’s B2B Cybercon being held April 7-9. Be sure to sign up here as an author and/or reader. I’ll be handing out copies of Buried Ladies, the 1st in the Dark Web series, to some lucky folks who stop by and I’ll have drafts of Scars of the Past for Beta readers. You’ll also get to visit with other authors, attend workshops, and grab goodies bags full of great stuff. Estella, now using her Hebrew name, Esther, sat in her Intro to Finance class at Georgetown University bored almost to tears. Looking around, she saw a number of faces with similar bored expressions, although a few scribbled on notebooks or tapped keyboards feverously. Finance just wasn’t her favorite subject and the endless equations calculating Betas, Net Present Value, and the rest got all jumbled in her head despite efforts to practice at home. Plus, she wasn’t sleeping well. The nightmares had faded somewhat in the two years since her ordeal in McAllen, TX, but she still awoke at least once a night with dreams of being tied and gagged. She could almost feel the ropes as they cut into her wrists and ankles, and, certainly, she felt the terror her kidnapping evoked. Sometimes she could fall back to sleep right away. More often, she’d be up for hours staring as the clock made its slow progression around the dial. The next day, she struggled with blinding headaches brought on by the combination of nightmares and lack of sleep. Between the nightmares and the ever-present tiredness that came along with raising a two-year-old perpetual motion machine, her eyes felt like they were filled with sand and her head kept dropping to her chest, making it difficult to concentrate on Dr. Henson’s lecture. She looked around the tiered classroom to see other students fighting the same urge to sleep. Maybe it was the overly warm classroom, but, more likely, it was the exciting lecture on banking policy that had them all wishing they were back in their beds rather than sitting here in the early morning on this crisp fall day. As her mind drifted off to other thoughts, like the mountain of laundry she’d have to tackle soon or buy more underwear, she searched the faces of her classmates pondering the thoughts going on behind their blank stares. They all looked so young and, even though she was only a few years older, she felt like she was from a different generation. Certainly their young bodies never felt the pain of being drugged and held prisoner, certain that death was only moments away. They never dealt with drug dealers whose roving hands were her first introduction to intimacy. Their hearts never felt the pain of losing someone close, someone they loved, yet she’d lost most of her family—only a single brother remained. These kids, she couldn’t help but think of them as kids, had lived peaceful lives in nice middle-class neighborhoods before graduating to Georgetown University. Living through that kind of hell aged you fast. Class was held in a large, tiered classroom with two sets of double doors in the back and no windows to distract students from the business at hand. At the bottom of the pit, like a Christian being fed to hungry lions, stood Dr. Henson, drawing charts that were projected on the screen by a document scanner that probably cost more than the entire audiovisual budget for her entire high school. The darkened room didn’t help the general somnolence of the room. She knew she should focus on the lecture, but her mind wandered to her favorite past time, people watching, for lack of other viable distractions from the charts that made absolutely no sense to her sleep-deprived brain. She was so focused that it took a moment to realize many of her classmates were looking down at their phones. Sure, students often glanced surreptitiously at their mobile devices just to pass the time, but this was different. Everyone seemed to have their device out and was checking the messages openly. This couldn’t be good. She grabbed her own device from her backpack and thumbing it on. A collective gasp rose from the classroom. A few students sat there, staring into space, not knowing what to do first. Others calmly closed books and gathered up possessions while they waited patiently for further instructions. But the majority of students rushed toward the doors marked with large, red EXIT lights like cattle heading toward the barn at feed time, headless of others with the same goal in mind. “Wait,” screamed Dr. Henson as he rushed the doors to stop them. From his position at the bottom of the pit, so to speak, he was farthest from the doors. He faced a task like Moses parting the Red Sea, only in this version, the sea didn’t want to part. As soon as he moved one student out of the way, several others barred his progress. His shouts went unheeded by those terrified of what might face them in the classroom and intent on making their way off campus as quickly as possible, despite the potential danger of such a reckless course of action. Thus, the digital warning had the opposite of its intended effect; sending students into the corridors, where danger might await, instead of encouraging them to remain in the relative safety of the classroom. In their efforts to gain the doors, several students were knocked to the floor, but their screams didn’t interrupt the crush of students intent on exiting the classroom. Instead, the mass trampled the prone bodies of their classmates who were powerless to regain their footing amid the fury of 218 feet pushing against them. Screams from those being crushed joined the screams of students terrified of what lay ahead and from the professor urging students back to their seats, creating a cacophony of sound that reminded her a video she’d seen on YouTube of the Running of the Bulls in Spain. Transcending the chaos, cell phones sounded in a myriad of ringtones. She heard everything from popular to classical, to buzzes, to bells, to strums as notifications came in over digital devices. Screams, shouts, cries for help, and the relentless trampling of feet added to the panic surrounding Esther, but she remained calm. She knew danger, had lived through it several times, and knew this, too, would pass. She looked around to make sure the shooter hadn’t entered their classroom, then joined the professor in trying to turn back the tidal wave crashing against the exit doors. They seemed bent on leaving their room, where strong doors and cement block walls protected them from stray bullets, for the prospect of danger in the hallways. Through the chaos, her shouts to stop joined with the professor’s, but were lost in the chaos reverberating around the classroom. Being close to the right door, she simply rose and locked the exit door behind her only to have the force of other students push her up against it, crushing her and trampling her feet. Her chest was compressed by the push of students trying to gain the exit and the immovable force of the steel-reinforced door she’d locked behind her. She could no longer get enough breath as their sheer weight refused to provide room for her rib cage to expand. The room began spinning as her field of vision narrowed—blurring on the outside edges as the stream of oxygenated blood reaching her brain diminished. If the crowd rushing the door hadn’t held her in place, she would have slumped to the floor and been trampled as they flowed out into the hallways. Those in back of the crowd slowly recognized the futility of their task and rushed to exit through the set of doors on the left that remained open. After a few minutes, which seemed like an eternity as Esther fought for the tiny volume of oxygen she could get into her lungs, the bellowing herd of students trying to force their way out of the classroom eased, some giving up, others having already gain the outside. As remaining student came out of their fugue state, they joined in efforts to calm those still seeking egress. Slowly, ever so slowly, the din diminished to the point where individual shouted instructions were heard. As students stopped their efforts to exit, the crush on Esther’s chest eased and she was able to draw several deeper breathes of sweet air into her screaming lungs. Room opened up in front of Esther, allowing her to bend over which had the dual effect of helping her clear her head by forcing more oxygenated blood to her brain and helping her lungs fill more efficiently. As she crouched there, recovering from nearly being crushed, she noticed someone step to the left door and slide its deadbolt. Now both doors were locked tightly against an intruder. Students found seats and looked sheepishly at one another—embarrassed by their collective response. The few students who were injured when others trampled them were helped to their feet and their injuries assessed as best they could as amateurs. No one appeared to be badly hurt; just a few cuts and some bruises that would make their appearance tomorrow. The most serious injury appeared to be a broken or badly sprained elbow; which the small Asian student cradled delicately against his chest. They were lucky. If the crowd hadn’t come to their senses quickly, more would have been hurt and the injuries would have been much worse. With no sign of immediate danger and in the calm that comes after the storm, students talked among themselves and, soon, boredom became the malaise rather than fear. Most thumbed phones on to get more information about the situation, although the circuits were overloaded with what seemed like the entire campus trying to text or call at the same time. There wasn’t much information to be had for the few lucky students able to connect. The emergency system further strained bandwidth on the crowded campus, continuing to advise students to shelter in place without providing any additional information. After the tragedy at Virginia Tech, schools upgraded their communications systems for events such as this, although, the administration had obviously made no provision for updating students as information became available, which was bound to add to the stress and uncertainty terror attacks caused. Obviously, some training was necessary so students knew what was expected from warnings like the one they received today. But, more important, administrators needed to understand that, without information, rumors would continue amping up fear and causing students to disregard more logical actions for brainless instinct. After several hours of waiting in the classroom, students became restless, complaining loudly about the information blackout and their inability to make contact with those outside the stuffy room. People were hungry or in dire need of a restroom, which was impossible without opening the classroom doors to potential danger. Conflict arose between students who wanted to leave and those who argued that the best course of action was to stay locked in the relative safety of the classroom. The heavy doors with their substantial deadbolts would stop anything short of a horde of Huns out for blood, they argued. Finally, information emerged through the university’s emergency channel. They learned the shooter was down after a brief exchange with Campus Police and first responders from the Capital Police and FBI. His victim, Grigory Mikhalev, an aide to Soviet President Vladimir Putin, was also dead. Law enforcement was currently searching the campus to ensure the threat was neutralized before issuing the “ALL CLEAR”. Esther didn’t wait to learn why Mikhalev was on campus, although she seemed to remember a visit to the School of Public and International Affairs, which they all called SPIA, which was hosting its annual student conference today. She had to reach Jacob, who also used his Hebrew name, Jacob, now. He must have heard about the situation at Georgetown and was probably worried sick about her, especially given their history. She’d tried to call or text him numerous times without success ever since the situation began. After everything that happened before coming to DC, he’d be out of his mind with worry. She remembered back to two years ago—the kidnapping, the feverish escape from Arturo’s cartel enforcers, the rescue aided by members of the McAllen Police Department who were working to solve the “Buried Ladies” case … their escape to DC with new identities designed to evade efforts at retribution by the Gulf Cartel. That was a terrible time. But, they had survived, although it cost Jacob’s brother and one of Pablo’s men their lives. Before she could dial his number for the 500th time, the phone rang in her hand. The display showed an incoming call from Jacob. They must have freed up some connectivity with the outside world. “No time to explain. I’m part of the investigation; I have priority connectivity. I’ll see you in a minute,” he said as the phone went dead in her hand.